In 1990 the BJP in India embarked on a political and religious rally called the Rath Yatra or chariot march. Championing a politics based on militant Hinduism. 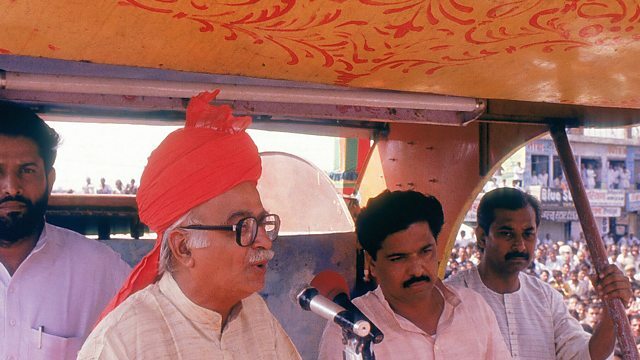 In 1990 the president of Bharatiya Janata Party or BJP, LK Advani, embarked on a political and religious rally called the Rath Yatra or chariot march. Championing a politics based on Hindutva or militant Hinduism. Farhana Haider has been speaking to RK Sudhaman a journalist who covered the journey and followed the rise of the BJP.